I think EP is srsly missing. He hasn't poasted in almost two months. Someone should check in with him on the Facebook. Wow has it been that long?! I'll see if he's around.. He said he's ok and just busy with business.. he said he'll check in laters. As long as EP is fine, then I guess we can get back to synth stuff. Here is my modular droning for no good reason other than I wanted to know that it still works after travelling out of state with it. Totally went under my radar, although it's kind of not my thing, but it might be yours hence why i'm posting it. 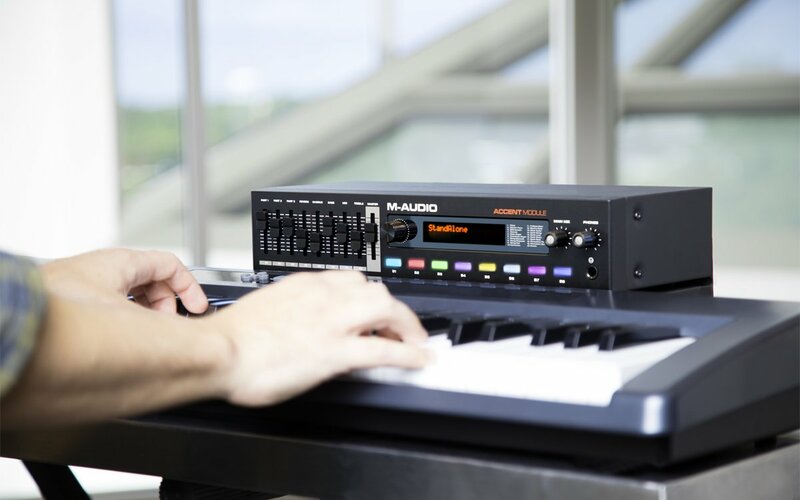 M_Audio has their own piano module.. really neat and not too $$ if you just need a box to throw on your controller.. The next thing I did was spend an hour playing both P5s and loving every second of it. Moot Booxle happened to be running tape, so the audio of the whole thing exists. Unfortunately my video camera battery died after 3 min, so there isn't any vid feed. Anyway, in case you are interested, here is me having fun and living the way I wish to live every day. I think it's cool enough to post, but as I listen I have been feeling compelled to add more tracks like drums bass guitar and synth and vocoder. I really can't decide. Man, I SO wanted a P5 when they came out. It was outgassed only by the MemoryMoog. man that video has given my nothing but trouble uploading. it failed twenty times, then it finally went up but instead of the 42 minutes it should be, it stops after 4. it's a real shame because it sounds cool.